About 75 percent of the Riyadh metro project has been completed, Riyadh Emir Prince Faisal Bin Bandar said after chairing the Arriyadh Development Authority meeting on Monday. The meeting approved awarding contracts for several projects which will be carried out soon. 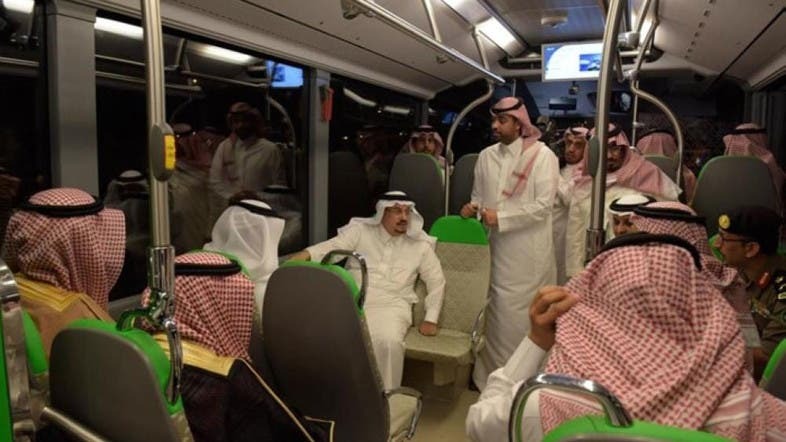 Prince Faisal, who is also the chairman of the board of directors of Arriyadh Development Authority and chairman of the supreme committee for supervision of the King Abdul Aziz Public Transport Project in Riyadh, expressed his happiness at receiving coaches for the Riyadh bus project as well. He was also briefed on the project and the services available for Riyadh residents in the coming year. The meeting approved awarding contracts for operation and maintenance, and linking telecom networks in the Riyadh buses project for a period of 10 years, according to the CEO of Arriyadh Development Authority Eng. Tariq Al-Faris. He said work at 250 sites along the metro network routes is already under progress. Faris added that all the deep tunnels and bridges are completed and 93 percent of the surface routes are done.